Abstract: Recordings, funeral cards, correspondence, and clippings related to Wendy Lincoln, one of 35 Syracuse University students killed in the bombing of Pan Am Flight 103 over Lockerbie, Scotland. 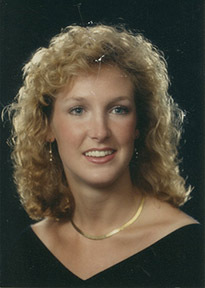 Wendy Anne Lincoln (1965-1988) was among the 270 victims of the bombing of Pan Am Flight 103 over Lockerbie, Scotland on December 21, 1988. She was majoring in art and specializing in communication design, graphic illustration, and photography in the College of Visual and Performing Arts at Syracuse University. Wendy was selected to display one of her paintings and two photographs at a student art show in London. Wendy was survived by her parents, Shirley and Charles Lincoln; her brother, Scott; her maternal grandparents; and her paternal grandmother. Wendy's mother remembers that "beauty radiated from within her. Gentle and kind, full of laughter and joy, surrounded by love. Her greatest virtue was humility, her greatest joy helping others." The Wendy Anne Lincoln Collection includes audio recordings, clippings, correspondence, and memorials and obituaries related to Wendy Lincoln, one of 35 Syracuse University students killed in the bombing of Pan Am Flight 103 over Lockerbie, Scotland. The Wendy Anne Lincoln Collection was donated by Nancy McShane in 2013, and Linda Euto in 2015. The Wendy Anne Lincoln Collection is fully processed.